Home > Vietnamese cuisine > Have you ever heard of amazing chocolate Marou in Vietnam? Have you ever heard of amazing chocolate Marou in Vietnam? 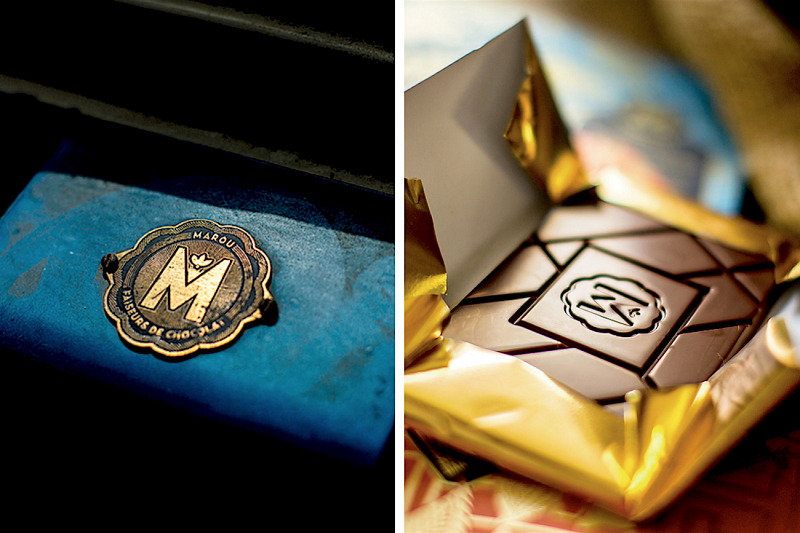 This is the story of Vincent and Sam and how the two friends and business partners built Marou Faiseurs de Chocolate in Saigon. Their tiny bean to bar factory produces exquisitely wrapped and delicious tasting chocolate that is exported to boutiques and five-star kitchens around the globe. There is nothing unusual, not in this era, about being a tiny, artisanal, single-origin chocolate maker. 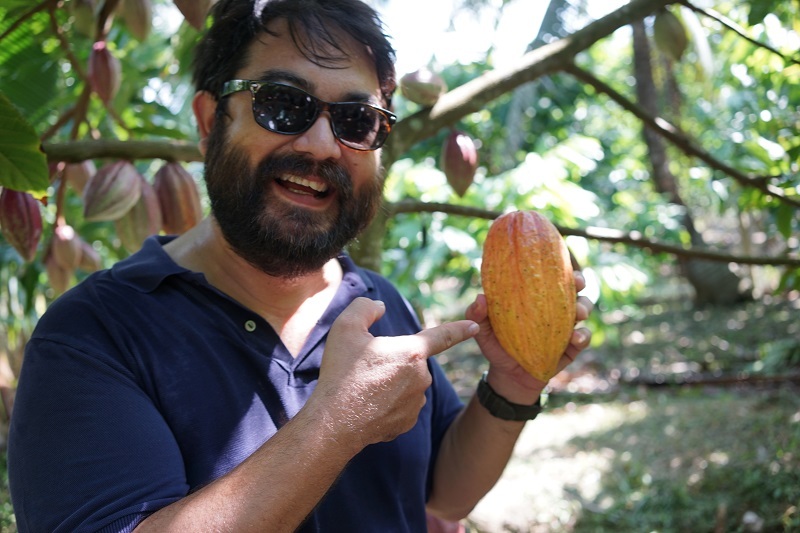 But the artisanal, award-winning chocolate I’ve come to see is being manufactured by a tiny operation called Marou in a factory on the outskirts of Ho Chi Minh City, with beans that were hand-picked on a skinny strip of an island called Tan Phu Dong in the Mekong Delta. Vietnamese chocolate is unlike any other. It’s made mostly from a bean called trinitario, an 18th-century blend of forastero — the high-yield bean now used by Big Chocolate — and the rarer, more nuanced criollo. 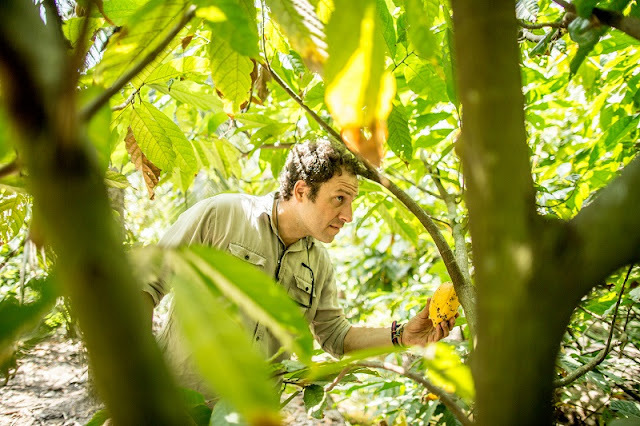 Marou’s chocolate has a particular complexity and variability, because unlike most chocolate makers, they can create theirs from beans they select at the source. This means they have control of everything, from farm to bar. The result is chocolate with unusual aromas — licorice, say, or tobacco. That morning, Maruta and I set off to see where the beans that supply Marou’s Tan Phu Dong 85% and Treasure Island 3/4 were grown. We drove three hours south into the Mekong Delta — past flat, baked land dotted with farmhouses and paddies — to visit Tan Phu Dong island. 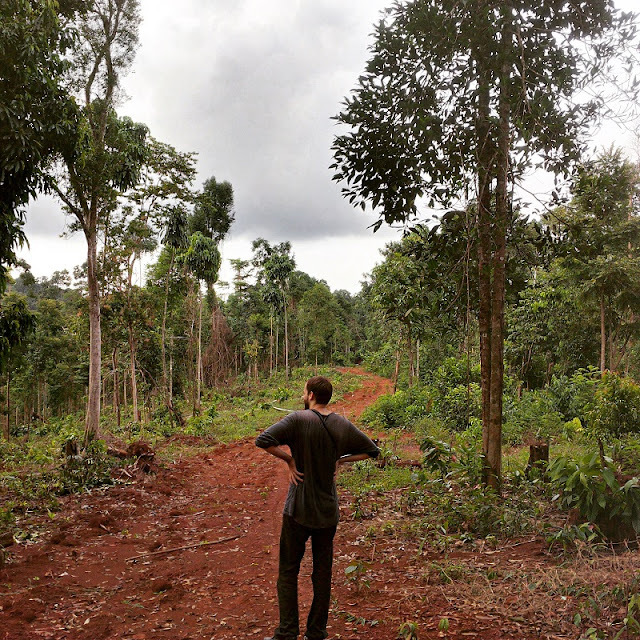 It’s here that Pham Thanh Cong, one of Marou’s suppliers, has his cacao plantation. Cong made us lunch, and then we tasted some of his raw fermented beans. The brightly colored ­cacao pod, when sliced open, looks like a mangosteen, with a cluster of seeds coated with a sweet white membrane. The seeds are fermented for six days in wooden crates, and then dried in the sun on bamboo mats. From here, the ones that Maruta and Mourou select are taken back to their factory in a quiet, anonymous suburb of Ho Chi Minh City. Then they’re roasted, shucked from their husks and ground into a paste that is heated and mixed with sugar until it forms a fine liquid that fills the air with a beautiful toasty aroma. This liquid is whisked and spooled for about two days before being poured into molds, cooled and wrapped. And there it was: a reminder that serious chocolate (so to speak) hasn’t quite caught on in Vietnam yet. I, however, took 20 bars back home to Bangkok: They might not be appreciated in their birthplace, but they were coming with me. Where to buy Marou chocolate in Vietnam?